Happy Thanksgiving, everyone! And yes, I know that Thanksgiving was yesterday, but who says you can’t celebrate an extra day? Especially when good food is involved? Yesterday we celebrated with my husband’s family and today we are celebrating with my family. More food!! For my husband’s family Thanksgiving, the hostess requested that I bring a vegetable casserole. 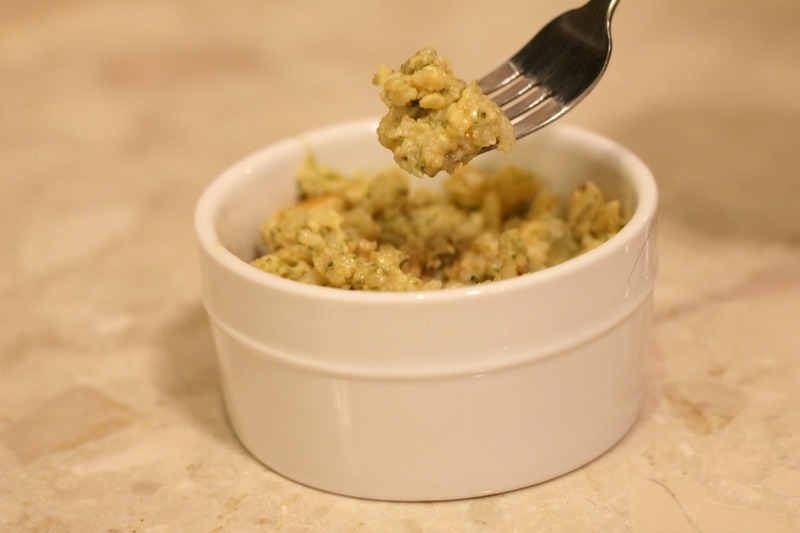 I was more than happy to oblige because it just so happens that one of my FAVORITE FOODS EVER is this broccoli and rice casserole that my mom makes every Thanksgiving. 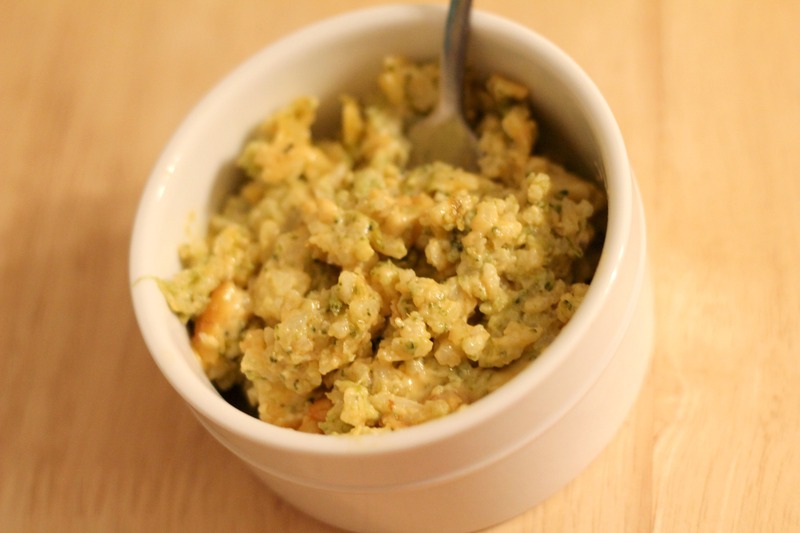 I’ve mentioned this particular casserole a couple times before when describing other delicious broccoli/cheese foods. However, nothing comes close to this amazing casserole. When I got married, my grandmother got all of my family’s hand-written recipes and compiled them in a cookbook for me (which is awesome and the best gift ever). My mom (thankfully) put the recipe for this casserole that she knows I’m addicted to. This stuff is easy to make and heavy on the cheese…just how I like it. It’s always devoured at Thanksgiving, and the only disappointing thing is that there’s not enough left over to put in our little foil plates that we take home from the party. Saute broccoli and margarine. Stir in cheez whiz until melted. Then add soup and rice. Pour into a casserole dish and bake for 30 minutes. This looks delicious!! Love the casseroles!! I have made something similar in the past but instead of cheez wiz I’ve used 1/4-1/2 a bag of shredded cheddar cheese. Yours looks delish!! That’s probably healthier than the processed cheez whiz 🙂 But darn that stuff is just so good! when it comes to casseroles, i just love the taste of chicken casserole, it is really yummy. Sounds delish, what size baking dish do you usually use? Thanks, tomorrow is my shopping day will put these ingredients on my list. this would be great with the addition of saute onions, mushrooms and chopped water chestnuts (water chestnuts add no taste but give it a wonderful crunch). Thanks, Vicki! I love seeing how everyone makes a recipe their own!